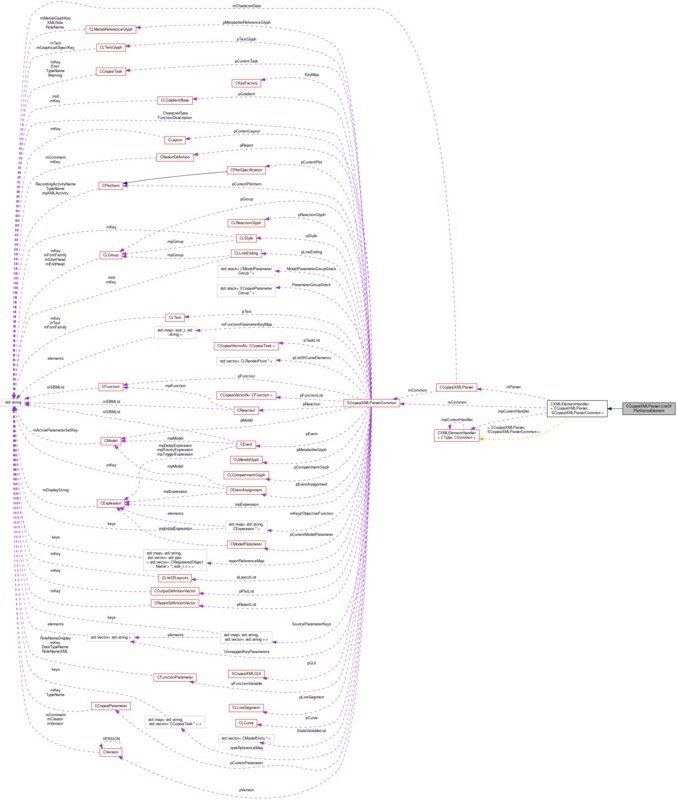 Definition at line 2003 of file CCopasiXMLParser.h. Definition at line 2010 of file CCopasiXMLParser.h. Definition at line 5397 of file CCopasiXMLParser.cpp. Definition at line 5402 of file CCopasiXMLParser.cpp. Definition at line 5449 of file CCopasiXMLParser.cpp. 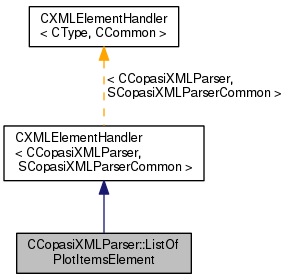 References CCopasiMessage::EXCEPTION, CCopasiXMLParser::mCommon, MCXML, CExpatTemplate< CExpat >::mParser, SCopasiXMLParserCommon::pCurrentPlot, SCopasiXMLParserCommon::pCurrentPlotItem, START_ELEMENT, and UNKNOWN_ELEMENT. Definition at line 5407 of file CCopasiXMLParser.cpp.